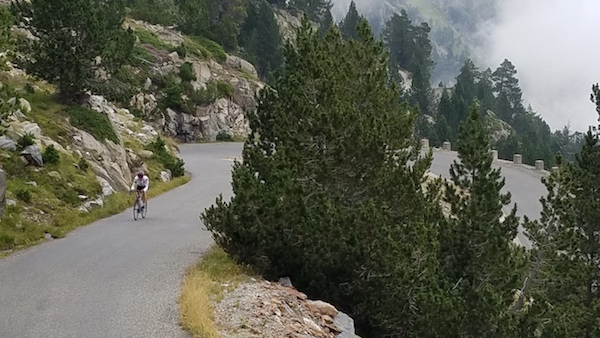 Today Mike and I planned to ride the Col D'Aspin and then we would meet the ladies to ride to the Lac du Cap de Long, a beautiful lake high in the Pyrenees National Park. 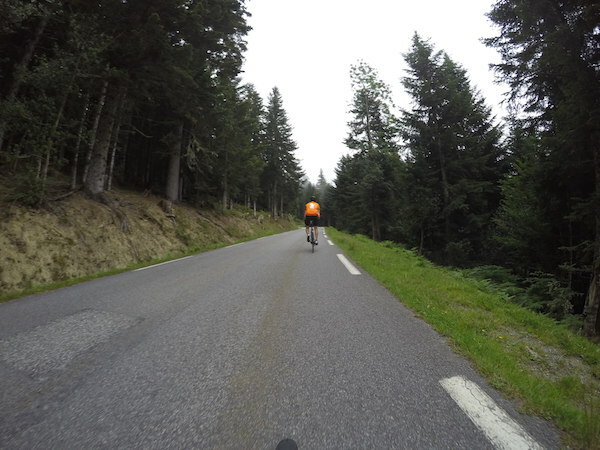 From the very start of the ride, however, my left hamstring was giving me trouble so I ended up riding only the Col d'Aspin and then driving the van up to the lake to collect everyone else. 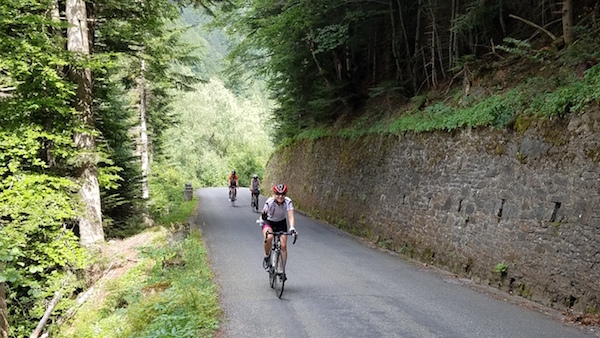 The Col d'Aspin is a beautiful, wooded climb that opens up near the summit, with a beautiful view of thw valley below. These pictures don't do it justice, but here's Mike and I in the trees, and here's another at the summit. 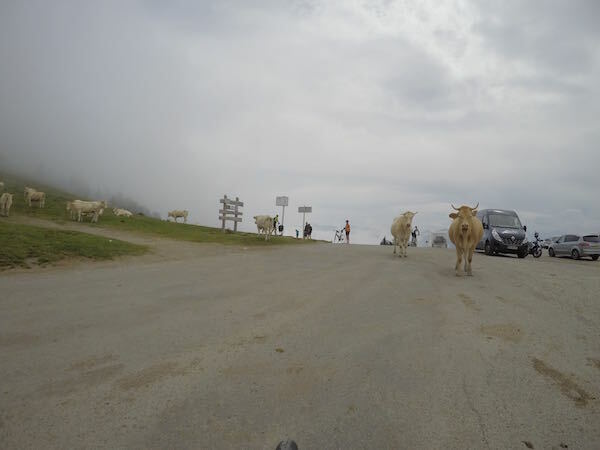 I videotaped the beautiful descent and will post asap. 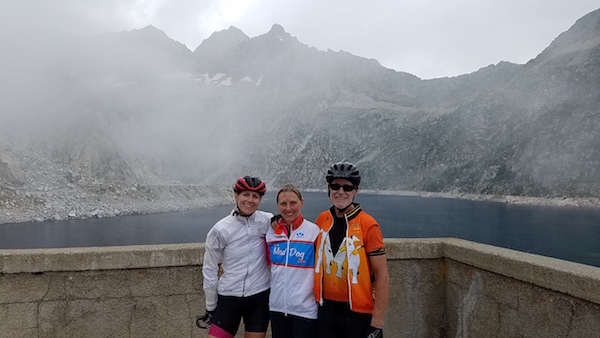 We then met Val and Jeanne in the quaint town of St. Lary-Soulon, where they then ascended to the Lac du Cap de Long. 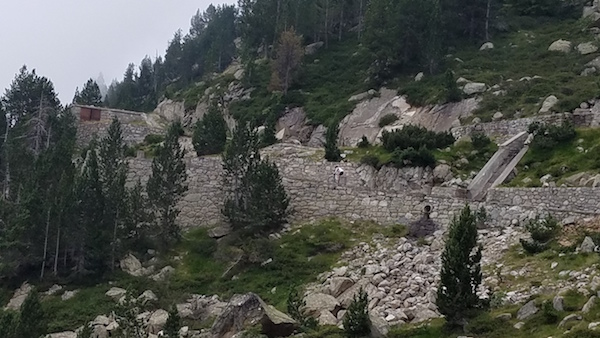 Pictures don't do this climb justice but here are a few, including a couple of Val on the switchbacks near the summit.